Elite Sports Tours has Bus trips from Toronto. Pick up locations include Whitby, Toronto, Kitchener, Burlington, Vaughan and St. Catharines. Custom pickup locations require a private buses (52 people). 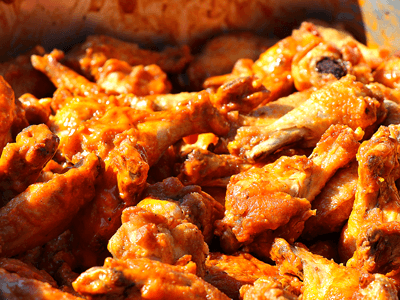 Our Buffalo Bills Bus Tours include all you can eat & drink tailgate party before the game. Bus Pick up locations available across the GTA including Whitby, Toronto, Kitchener, Burlington, Vaughan and St. Catharines. All of our bus trips are guided by Elite Sports Tours representatives who do giveaways, trivia and prizes on the way down. Once you arrive in Buffalo the fun continues! 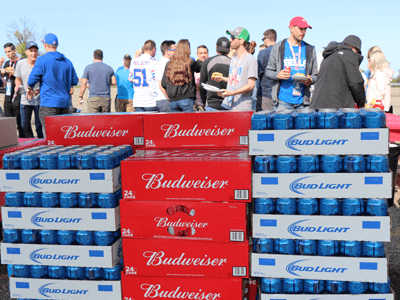 Mingle and party with hundreds of sports fans with a tailgate party including food and beverages served up until the start of the football game! We have large blocks of tickets so we are able to get your entire group together during the football game. After the game the bus will take you back to the original pick up locations with out having to worry about a thing! Elite Sports Tours pre-planned road trips to Buffalo are extremely popular and sell out fast. 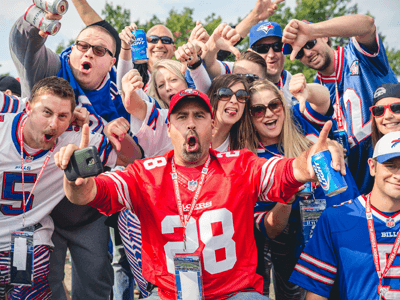 The only way to take part in the Elite Sports Tours Buffalo Bills Road Trip is to buy a complete package including Bus Ride, Lower Bowl Ticket + Pre-Game Tailgate Party. Join the thousands of other Buffalo Bills football fans we send down every season. 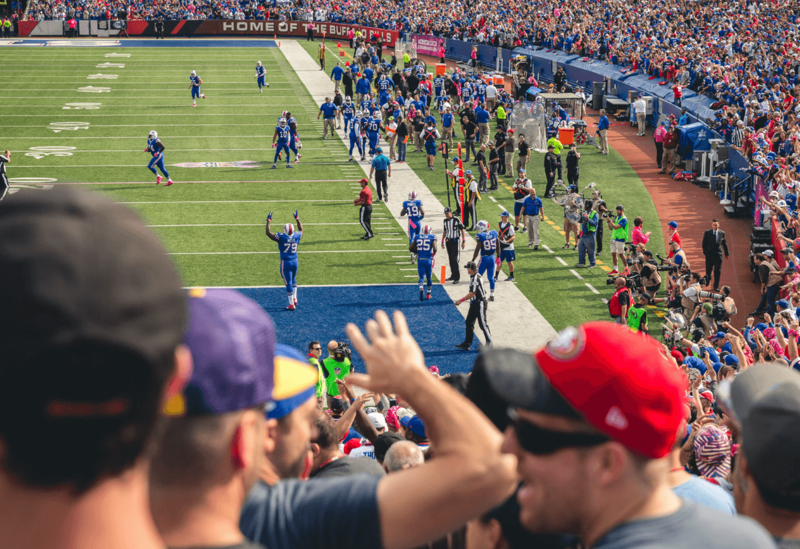 Travel with other football fans and experience all the action of a live game at Ralph Wilson Stadium. All you have to do is show up in the morning and our staff takes care of the entire day! You can join our bus with as little as 1 person or an entire group! 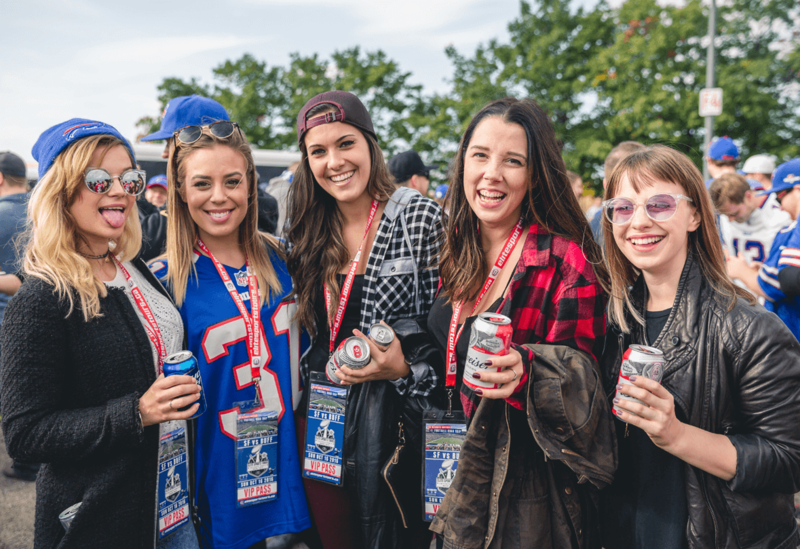 We have large blocks of tickets for every Buffalo Bills home game so we can get your entire group together at the game. 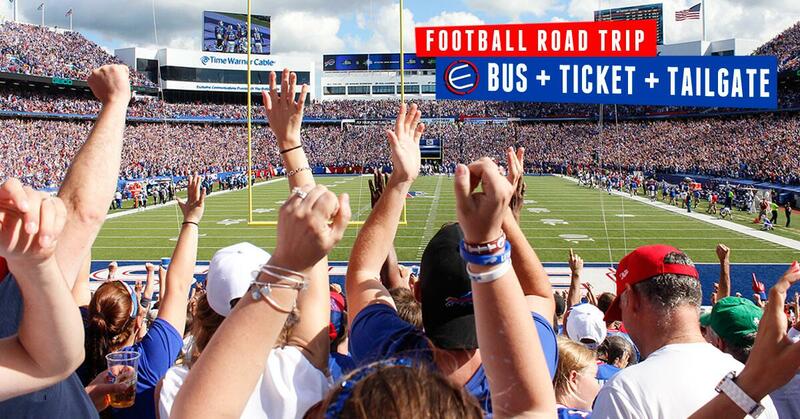 Our Buffalo Bills bus trips are very popular and the premium games sell out well before the season starts. Pick a game and get your group organized for the upcoming Buffalo Bills football season and let Elite Sports Tours take care of the rest! 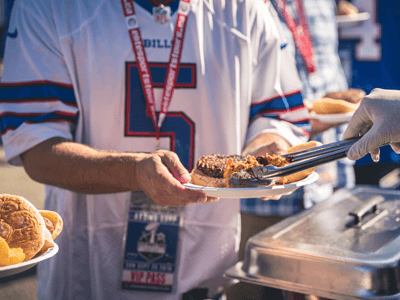 Packages include Lower Bowl Buffalo Bills Ticket (all together), Round Trip Bus Ride & All You Can Eat & Drink Pre-Game Tailgate Party! • TICKETS, BUS RIDE & TAILGATE PARTY! We have bus pick-ups in Whitby, Kitchener, Toronto, Vaughan (Wegz Stadium Bar), Burlington & St. Catharines. (Custom pick-ups require a Private Bus 52 People and have to be approved). • BOOK YOUR BUFFALO BILLS TRIP & YOUR SET! New Kitchener Pick Up Location Added! Buffalo Bills Trips with Elite Sports Tours is the only way to go! 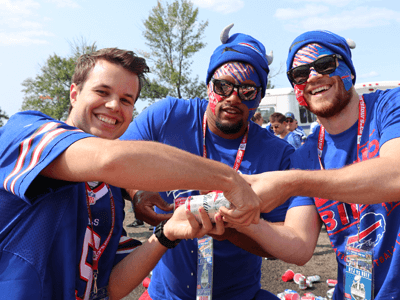 No hassle of finding Buffalo Bills tickets to the game for your group, finding a ride down to the game and planning a tailgate party. We do all the work planning the trip for your group and making it simple for you! just get your group together and give us a call at Elite Sports Tours. Book Your Buffalo Bills Trip Now! Have a question about our Buffalo Bills Trips? Call our office and we will be glad to help you! To make a reservation a $100 non-refundable deposit per person is required for our Buffalo Bills Bus trips. Unfortunately there will be no refunds, so we strongly recommend purchasing Cancellation Insurance should you believe there be a significant reason you may not be able to attend this event. For private trips a 50% deposit is required should you be reserving a full bus with the remainder being due 60 days prior to departure. - Tailgate Party is weather permitted. Should any inclimate weather prevent us from cooking food outdoors, we will not be held responsible for any financial reimbursement.